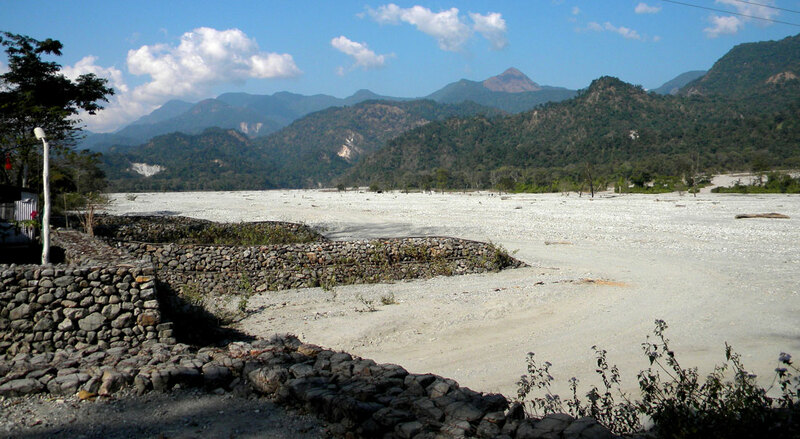 Sikia Jhora is a rivulet flowing through the famous Buxa Tiger Reserve surrounded by Damanpur Range. Sikia Jhora stream can be found in North Panialguri in Alipurduar subdivision. Taking into account the eco village tourism development initiative and the increasing number of tourists flocking the region, government had built a dam and an embankment along the stream a few years back. Sikia Jhora is one of the major tourist highlights apart from the tigers inside the Buxa reserve. Boating is allowed on the brooke and it also a famous bird watching spot. However, the rivulet swells up during rainy season and hence it is not a good idea to visit the place during monsoons. Buxa Tiger Reserve is located in the foothills of Bhutan covering an area of 790 square kilometers and is of course famous for tigers, civet and red jungle fowl. The forest was declared as a tiger reserve in 1983 and received the title of National Park in 1992. Buxa Tiger Reserve forest is the largest in North Bengal and is home to second largest tiger population in entire West Bengal after Sunderbans. There are many species of mammals, reptiles, birds and an amazing collection of medicinal plants and orchids. It is only 24 kilometers from Alipurduar and about 180 kilometers from Siliguri, reckoned as the gateway of Bengal. Certain parts of the forest have still remained unexplored due to inaccessible terrain. Jayanti is a small forest village inside the Buxa Tiger Reserve in West Bengal. Located along the banks of Jayanti River, this is the only settlement inside a forest area where you can spot tigers. This is where visitors can enjoy the thrill overnight. The river forms a natural barrier with the Bhutan hills on the other side of the forest. Known popularly as the ‘Queen of Dooars’, the Jayanti village is a pristine place with a wide variety of flora and fauna. Free from the pollution of city life, this vast green zone is bound to take your breath away. 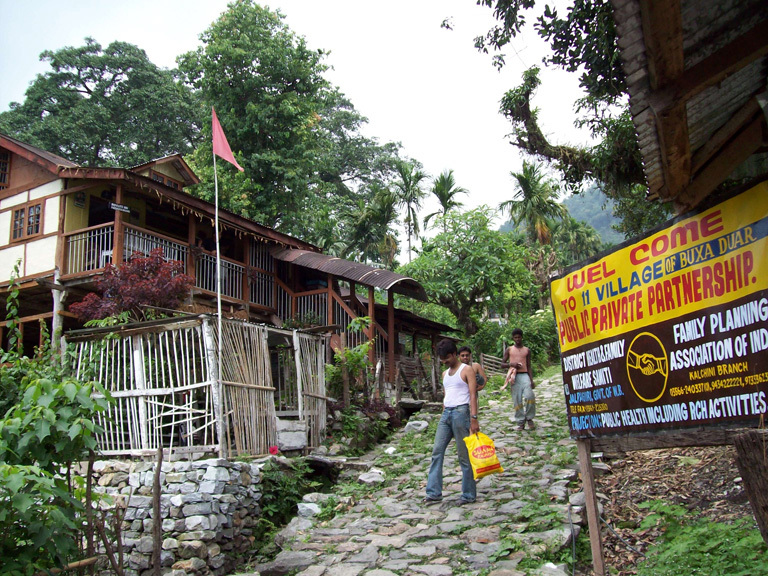 Staying in the village within the Buxa Tiger Reserve is a memorable experience for any traveler. Godk or Godak village in North Bengal is an upcoming tourist destination. The village is situated at a distance of 15 kilometers from Bindu at an elevated height with beautiful picturesque landscapes. It is also the seat of a tribal Goddess known as Debi sthan and is a sacred place for the tribal people. As tourists the landscape and also the tribal goddess will attract you to the place. You will get a glimpse of their religious rituals at this place. The tribal people worship the river here which they believe has originated from a rock which never dries. 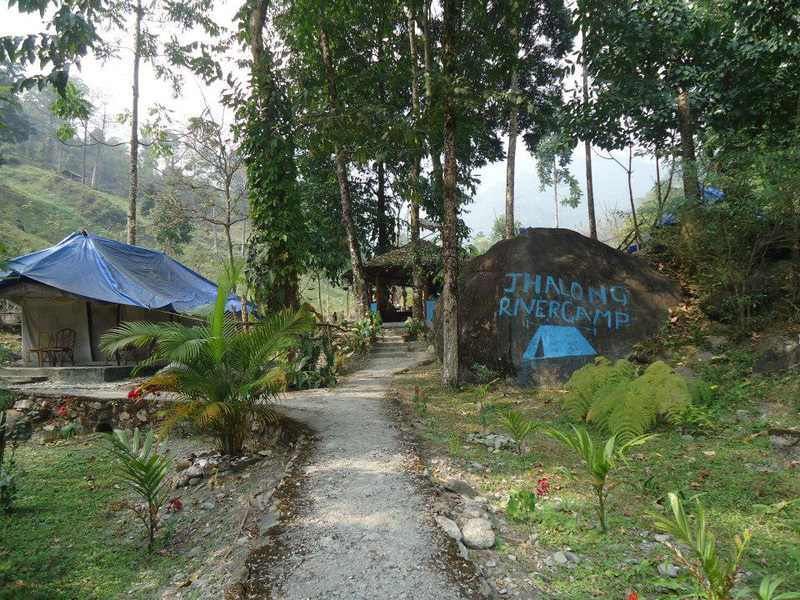 The Jhalong river camp on the banks of river Jaldhaka is a natural resort in the wilderness of Himalayan foothills known as Dooars. Jhalong is a small village which has been included in the eco tourism initiative taken up by West Bengal Forest Development Corporation. Visitors seeking peace amidst nature will find this place attractive with its pristine beauty. It is actually located on the Indo-Bhutan border which adds to the thrill of the visitors. The place is full of orange orchards, small houses amidst rolling hills and lush greenery. The Jaldhaka hydel power project of phase 2 is the highlight of the region. Suntalekhola is a small hamlet located at an altitude of around 750 meters in the Dooars Himalayan foothills of West Bengal. Suntalekhola when translated in English means ‘orange stream’ and is quite a beautiful and peaceful tourist destination. It lies about 4 kilometers from Samsing and is also the south eastern entry point of Neora Valley National Park. 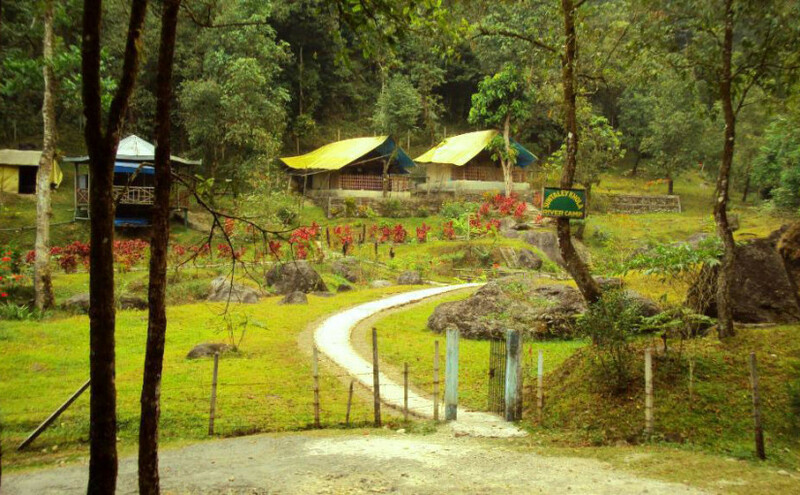 The WBFDC cottages or river camp is the best place to stay in Suntalekhola because it offers unhindered view of the beautiful green landscape and the high mountains. A number of trekking routes originate from Suntalekhola most of which lead to the National Valley National Park. This is an added attraction for the adventurous souls. Khunia forest is basically a vast stretch of grassland with a huge watchtower standing almost in the middle of it. It is a part of the vast expanse of jungle covering the banks of Murti River from Latagur-Chalsa-Murti-Dhupjhora-Batabri-Ramsai-Kalipur and Neora river bed. Khunia lies on the way to Chapramari from Gorumara. The distance of Chapramari from Khunia is only 1 kilometer. The watchtower inside the forest is known as the Chandrachur watchtower which was formerly known as Khunia watchtower. This watchtower is famous for offering views of the entire expanse of the forest and also animals like bisons and elephants. Chukchuki Watchtower is also known as Chukchuki Birding Point inside the Gorumara National Park. It is an ideal vantage point for watching myriad birds and photographing them. Tourists visiting Gorumara are taken to the watchtower for bird watching either on elephant back or by a car. 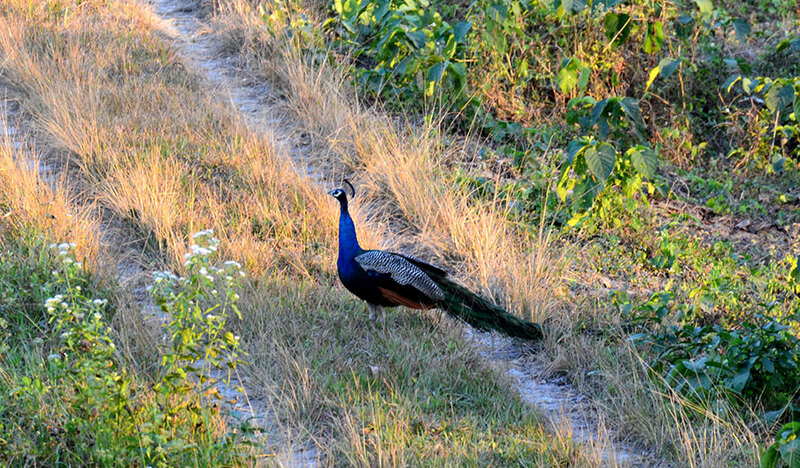 It is a bird watcher’s paradise where one can spot local as well as migratory birds. The watchtower is situated towards the end of the park and provides perfect view of the birds. It is one among many other watchtowers in the park from where visitors can spot different animals like rhinos for which the park is famous.